We know that launching a website is just the beginning of establishing your online presence. That's why we build our customers great websites with minimal upfront costs! We're committed website partners that stay involved in your business long after the website has launched to ensure it continues to drive value for years to come. We take care of everything you need to keep your website online and available. With over 99.99% uptime, free domain name registration or migration, you can rest easy knowing your visitors won't be turned away. Over 80% of users leave websites if they're not secure. That's why Secure SSL Encryption comes standard with all of our website packages at no extra cost. Keep your website and your users safe. If your website takes more than a few seconds to load, customers will leave and never come back. With super fast servers and CloudFlare's Content Delivery Network (CDN) implemented on every website we build, customers can focus on your business, not an empty page! Over 50% of all website traffic comes from mobile devices and that number continues to grow. Building a beautiful website that looks great across all platforms is essential for your business to succeed online. Your website needs to return value to your business by encouraging visitors to take specific actions. Instead of building websites that just look good, we build websites designed to turn visitors into customers! Want to publish an article or a blog post, no problem! All website packages come with unlimited content pages allowing you to continue to grow your website and deliver great content to your visitors. Every website needs regular maintenance and security updates to ensure it remains secure, up to date, and fast. We'll check your website regularly and perform any updates required to keep your site in optimal condition. You've got a lot on your plate and learning how to sift through website performance statistics takes time and effort. With our clear and concise monthly performance reporting, instead of spending time digging through piles of data, you can focus on making decisions that matter for your business. Being able to stay in regular contact with your customers is key. 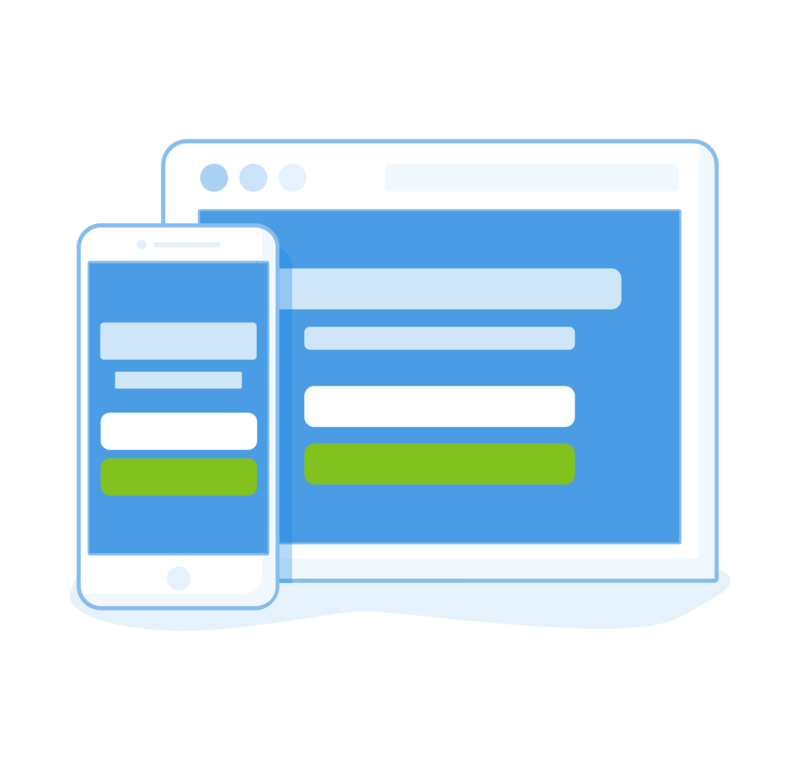 With email list integration on your website, you'll be able to grow your email list and inform your customer and potential customers about your products and services. Wish you could hand select customers to leave reviews for your business and fly up the local search rankings? With our automated review capture flow, we'll contact specific customers to enhance your social proof and improve your local search rankings. In order for customers to find you online, websites should be built with Search Engine Optimisation (SEO) in mind. Every page we build adheres to current SEO standards to increase your chances of being found online. If your business engages with customers through social media platforms, we can make it easier for customers to engage with your business and share your content, both on your website and on social media. Research has shown that websites with live chat can experience a 40% increase in conversion rates and improved customer satisfaction. With live chat enabled on your website, you'll have a significant edge over your competitors. Capture leads anywhere on your website! With intelligent triggers, unparalleled flexibility, and beautiful design, advanced lead capture allows you to turn more visitors into paying customers. We create more than your standard contact forms. With multiple field types, responsive layouts, and custom notifications, you'll be able to capture the information that's relevant to your business and action enquiries immediately. Users can call you without leaving your website with click-to-call enabled phone numbers on your website. Instead of having to leave your website and remember your phone number, visitors will be able to call your business with a single click.